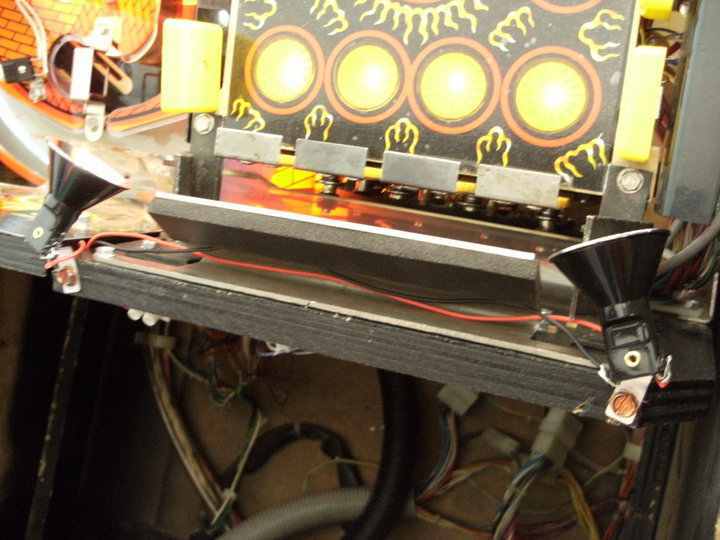 Cedric added some led flashers to his Shadow pinball machine. It looks really cool, and this modification is quite easy to do. Watch the video to see the result, instructions how and where to add leds are below. 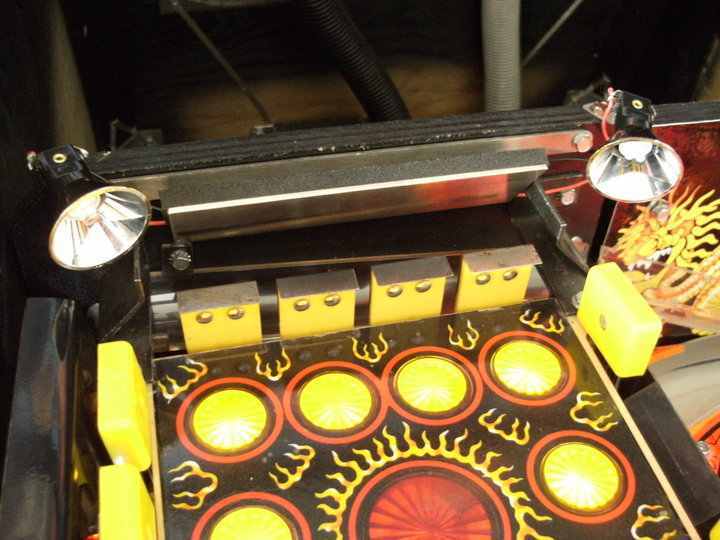 Years ago, when you wanted to add leds, it wasn't very easy to do. You cannot just connect a led to a GI string, you always need to add a resistor to lower the supplied voltage. Depending on where you connected the led and if more were in a string, this could give some interesting calculations. Not very complicated, but still a lot of people didn't want to mess around with it. 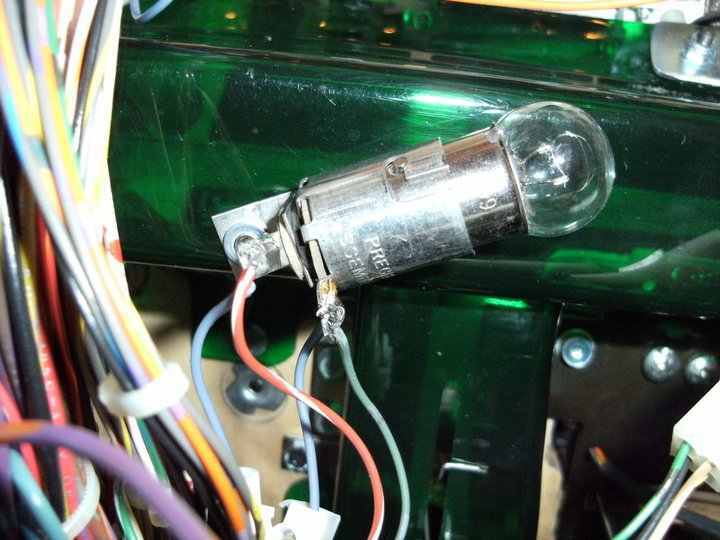 Nowadays a lot of pinball parts dealers sell ready-made leds that you just plug in onto a GI or lamp matrix. The light bulbs have their builtin capacitors and resistors, so you don't need to calculate things. 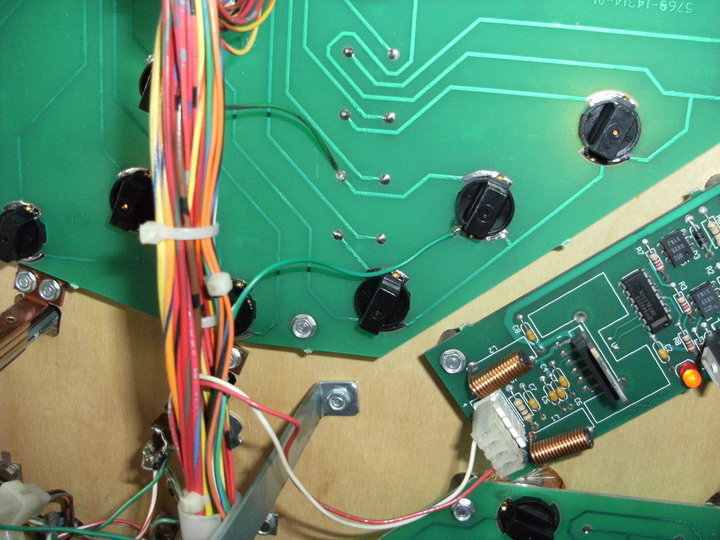 But as most GI circuits are almost loaded to their maximum capacity, it is always safest to replace a few lightbulbs with these leds before adding new leds to the circuit. 1 spot and led flash focussed on the brill wall target + constant blue led spot (6v) also on it. 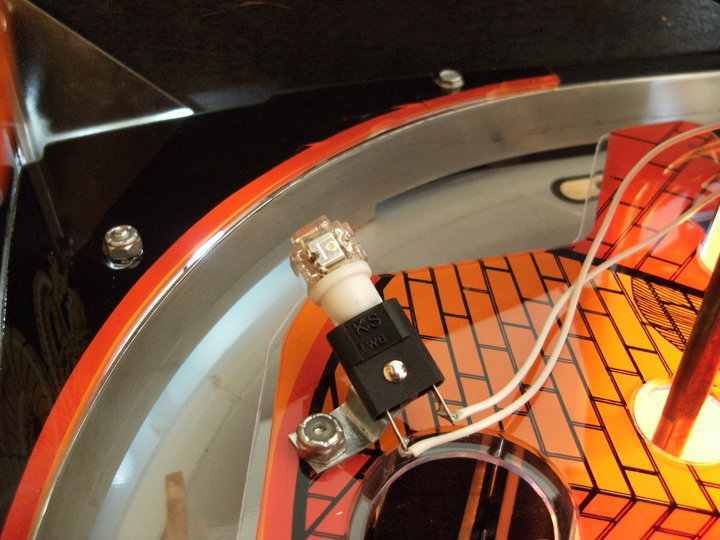 The extra flash is connected to the left orange flash on the backboard and the blue led spot is connected to a normal GI bulb 44 present on the playfield. 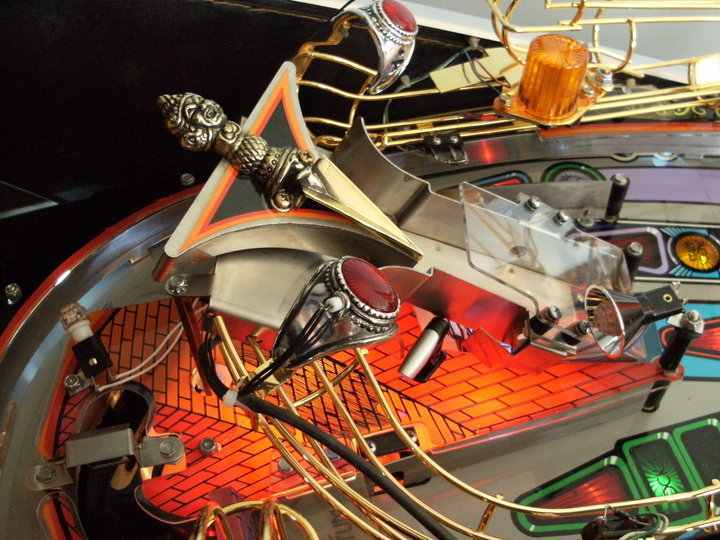 The flash led is a cold white from pinball life because the led from pinballlife have the strobo effect. 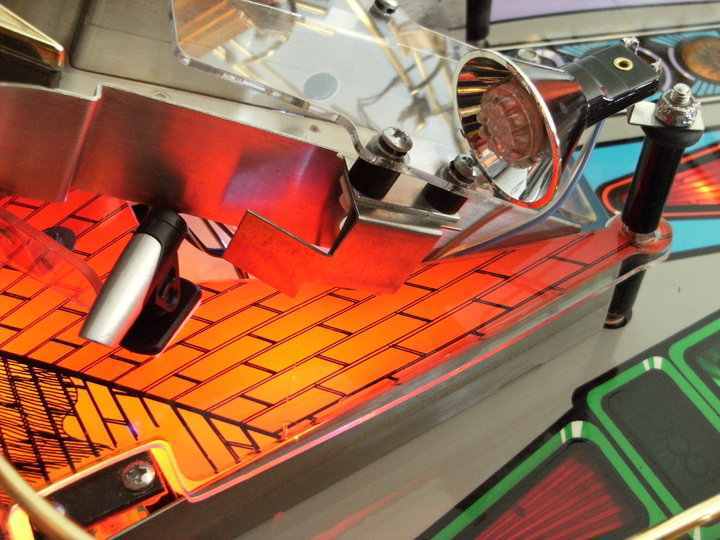 1 led flash is also put behind the right ramp and is connected to the right orange flash on the backboard. This flash doesn't really need a spot because its function is to light all around it so the use of a spot could be a flaw in that way. 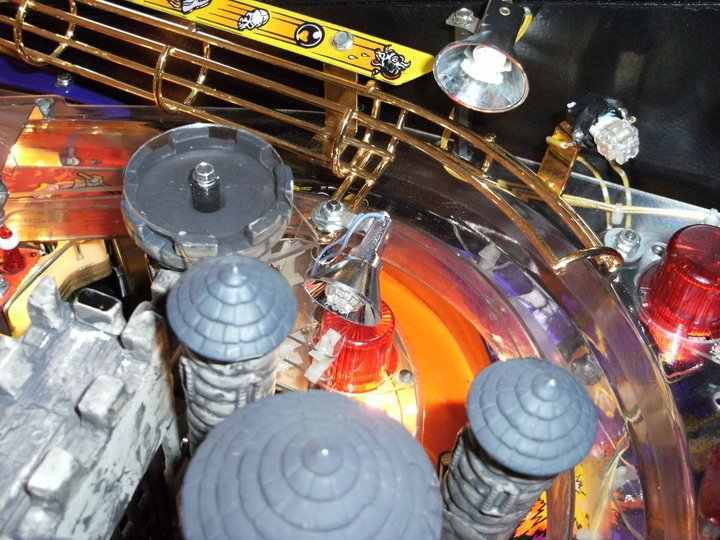 That 's why i chose a wide angle led flash from pinballcenter. These 2 extra led flashes have a real good visual effect because the player can't see where comes these extra lights from. All is hidden +/-. The first orange flash on the backboard which blinks when the ball is caught by the magnet is the left one , that's why i chose to connect the led flash spot on it. 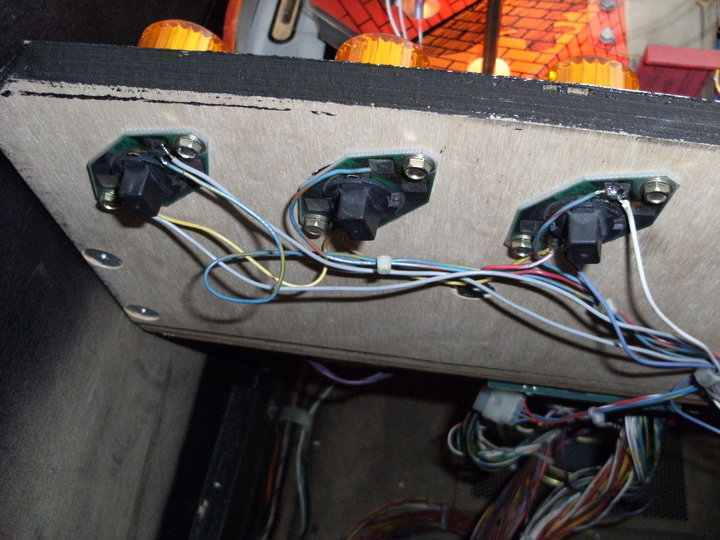 2 on the left and right of the castle (2 tulip bulbs), these are connected to the left and right ramp flashers on the playfield. 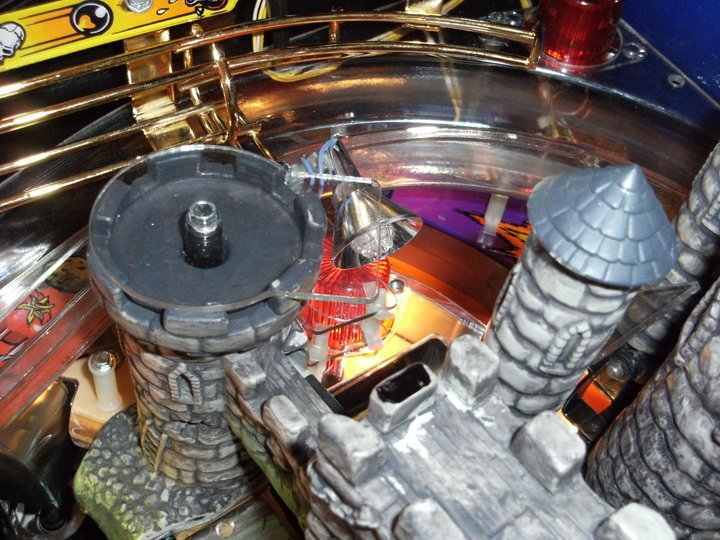 So now when castle multiball begins, you can also see the lightenings when you heard the thunder. 1 inside the left side of the castle connected to one of the 2 flashers located under the green moat ramp so now when you hit the castle you can see a glimpse of white flash behind the door (the same flash used previously to light the wall in the Shadow). This modification is developed by Cedric Delfante.